Thanks for helping clear that up everyone. I appreciate it. Fornadan and Jolt, how is the old map making project going? Have you got an closer to getting the project towards publication? Also looking through the thread I've rediscovered these maps - awesome by the way! 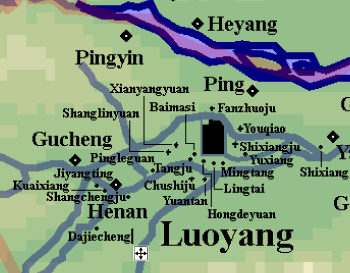 I didn't know we knew the names of Luoyang's suburbs. I don't suppose your sources tell you anything else about them? Greetings. Mostly new to posting here (I've anonymously lurked for quite a while), but would like to ask about any geographical resources for the places and terrain of the Three Kingdoms. I've recently started a personal project to make tactical overview maps for the battles and campaigns of this era (along these lines) and use them to do play by play breakdowns of the course of each engagement. Most overviews of the period do their analysis either by person or by chronology, so I figured that a pure battle perspective might be interesting. This map below is quite excellent, but there doesn't seem to be a full resolution version (I've PM'd Jolt). Jolt wrote: And thus, it is (Mostly) complete! Other than that, I'd be interested in anything that has accurate or semi-accurate placement of terrain features and settlements which I can use as a foundation for the battle maps. Welcome to the board, zirroxas! This project excites me - more study into the actual battles and campaigns is a struggling author's dream! I'm not sure how helpful I can be sadly. Certainly I know of books that give vague overviews. For example Lewis' book, China between Empires, opens with a chapter entitled "The Geography of North and South China" and RDC's Fire Over Luoyang gives a great description of the area surrounding the capital, but I don't know if that will be enough for what you want to achieve! If you were inclined to begin with the YT campaign I would love you forever! 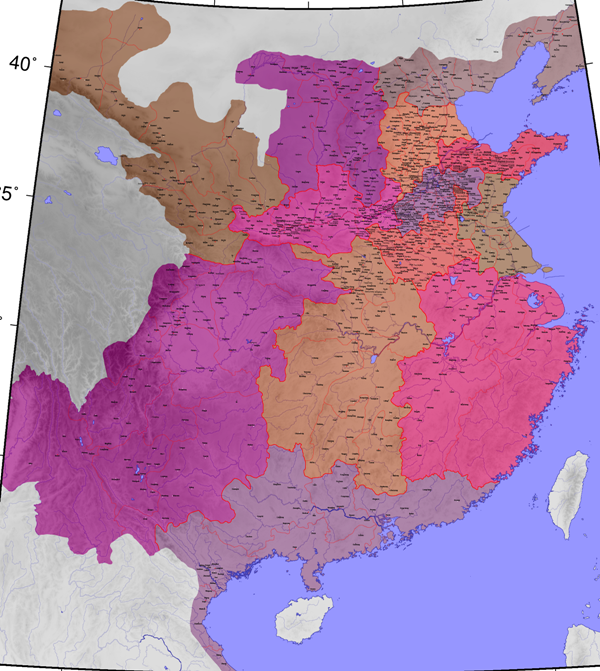 Shouchun and Its Pivotal Role Between North and South in Early Medieval China by Bill Crowell is probably a wonderful resource for you considering how many battles took place in the region. It includes a map of the area with markings indicating where things were in the city. Sun Fin wrote: If you were inclined to begin with the YT campaign I would love you forever! This is indeed my plan. I want to start with the YT rebellion and essentially work my way chronologically through the battles all the way to the Jin invasion of Wu, understanding and analyzing how the tactics and organization of the armies changed over time. While its sometimes difficult to parse exact deployments or maneuvers given the way the histories sometimes glaze over the conduct of the battles, I'll do my best to make as much sense of them as I can. 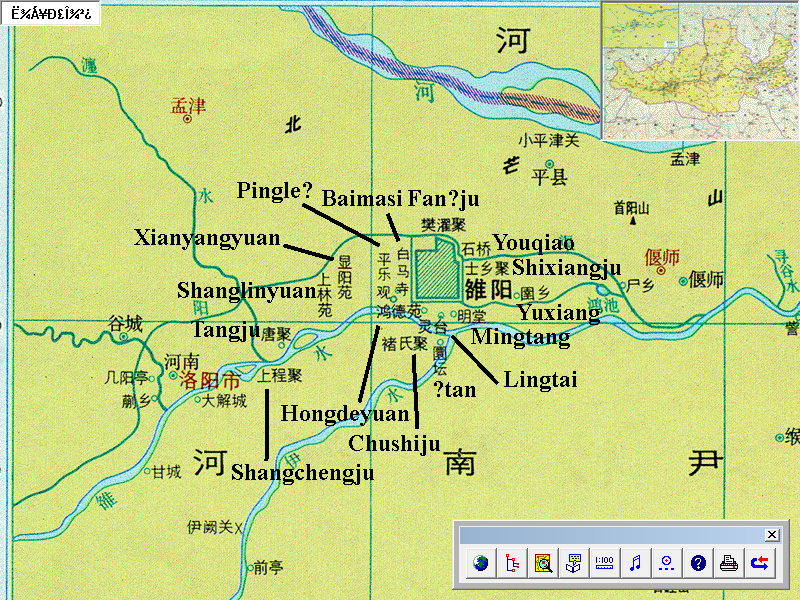 It's sometimes difficult for military history enthusiasts who come from the western tradition to get into the Three Kingdoms just due to how different the presentation of the history is compared to the neat maps and formation diagrams that we tend to be used to. While I'm primarily doing this for my own learning experience, I hope to bridge that gap as well. Of course, starting with the Yellow Turban Rebellion is quite the challenge, due to how distributed, widespread, and longrunning it was. I'm trying to determine some decent dividing lines between different areas to give it better granularity and split up the work. Sun Fin wrote: I'm not sure how helpful I can be sadly. Certainly I know of books that give vague overviews. For example Lewis' book, China between Empires, opens with a chapter entitled "The Geography of North and South China" and RDC's Fire Over Luoyang gives a great description of the area surrounding the capital, but I don't know if that will be enough for what you want to achieve! DaoLunOfShiji wrote: Shouchun and Its Pivotal Role Between North and South in Early Medieval China by Bill Crowell is probably a wonderful resource for you considering how many battles took place in the region. It includes a map of the area with markings indicating where things were in the city. Thank you very much. I'll look into these and see what I can make of them. Let me know if any other materials come to mind. Once I have some presentable work, I'll start posting them here. Indeed! It feels like Chinese primary historians were far less concerned with how the battles were won than their Western counterparts. If I can help in any way feel free to ask. I've done a bit of research into the armies that Zhu Jun and Huangfu Song commanded, although I've not made as much progress as I'd have liked! I don't know how much progress you'd made in areas other than maps? The division is more complex than you'd have first thought. The natural instinct is to treat each Han commander as operating in a separate theater, however there is quite a bit of overlap that makes it harder to stick to that too tightly!